Joanna Lumley and Virginia McKenna are set to round up three weeks of Tiger Tracks, the world’s largest tiger conservation event in London tonight. The sold-out Tiger Tracks Gala Dinner is a star-studded Champagne reception and dinner at the St Pancras Renaissance Hotel, with all profits going to the Born Free Foundation's tiger conservation projects, as well as those of the Environmental Investigation Agency (EIA). 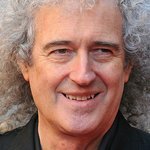 Tiger Tracks kicked off three weeks ago when rock music icon Brian May and West End Sensation Kerry Ellis performed a number of classics in front of large crowds at St Pancras International, officially opening the world’s largest tiger conservation event. Due to popular demand, Kerry Ellis and Brian May are going back on the road in 2013 with their hugely successful Born Free tour, acoustic and by candlelight. Beginning Tuesday June 18th, Brian and Kerry are heading out on the road to present their Born Free Tour, a series of intimate and totally acoustic shows performed under candlelight. These special concerts provide a chance to see Ellis and May close-up, and are being especially performed to raise awareness of the work of the Born Free Foundation. To find out more about the Tiger Tracks initiative, click here.